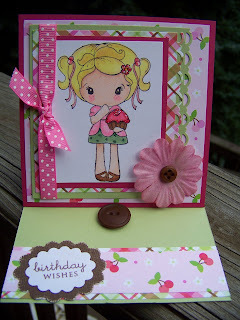 The Savvy Stamper: Cupcakes again! Good evening! Is it really Wednesday again? I can't believe that August is almost over and the kid(s) are almost back in school! We don't start until September 7, so there's a little bit of time left. I love my sweet boy dearly, but I am ready for him to start back! 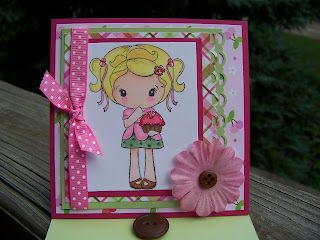 Supplies are CC Designs stamp from Paper Jewels - Cupcake Kiki colored in with Copic markers and highlighted with clear Stickles. DP is Doodlebug. Cardstock is SU Certainly Celery and Rose Red. Brown is DCWV punched with a scalloped punch. Border punch is SU. Buttons are PTI, flower and ribbon are misc from my stash (i.e. not sure where they are from and I am too lazy to go check at the moment:)). What an adorable image and the card is sooooo sweet! Colleen, this is just OTT! 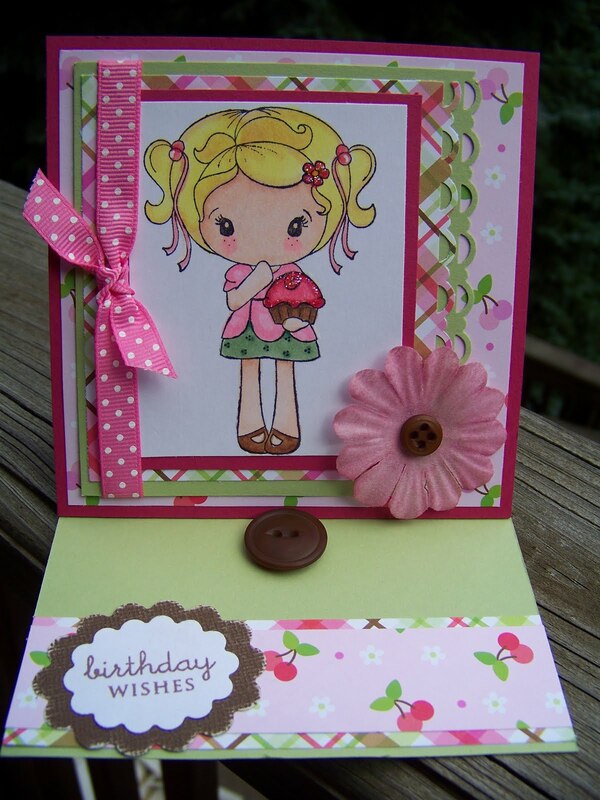 Love your colors and image and fantastic easel card! This is precious! Love the pretty papers and your coloring is fabulous! I love everything about this card, too cute! I love all the layers!! 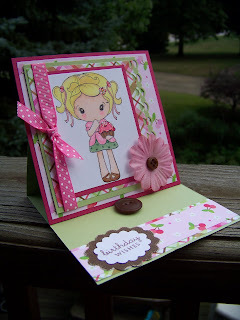 Totally cute..I'm always a fan of easel cards!!! And I love this image to! !